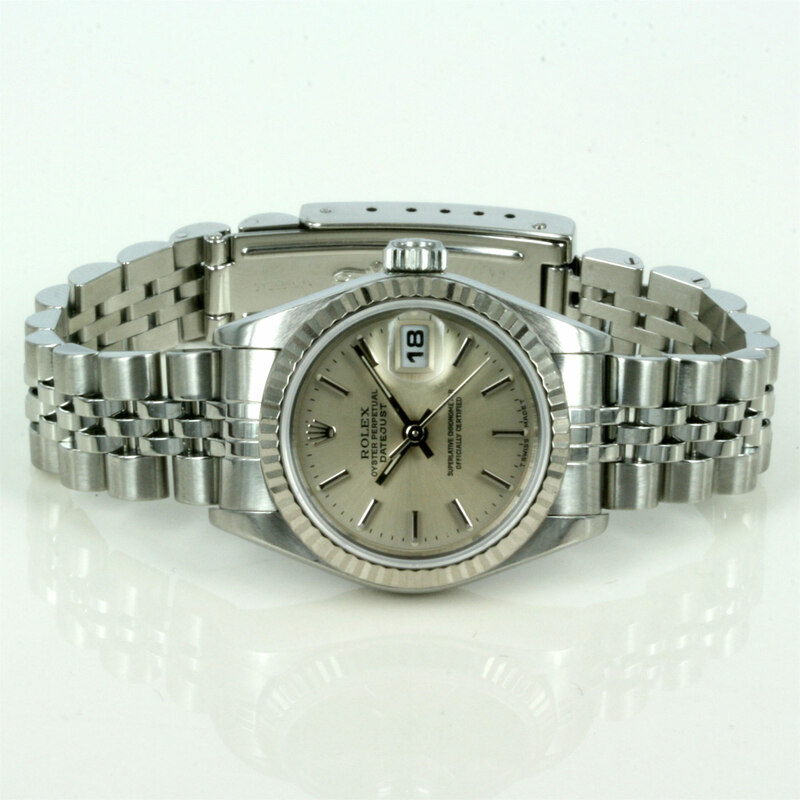 Product code: 1576 Categories: Sold Items, Sold Rolex Watches. This is a lady’s brilliant looking Rolex Oyster Perpetual Datejust made in stainless steel and fitted with the 18ct white gold bezel. Measuring 26mm across plus the Rolex screw down crown, and fitted with the scratch resistant sapphire crystal, this is such a elegant Rolex watch. The silver dial with batons looks so smart, and is easy to read day or night. 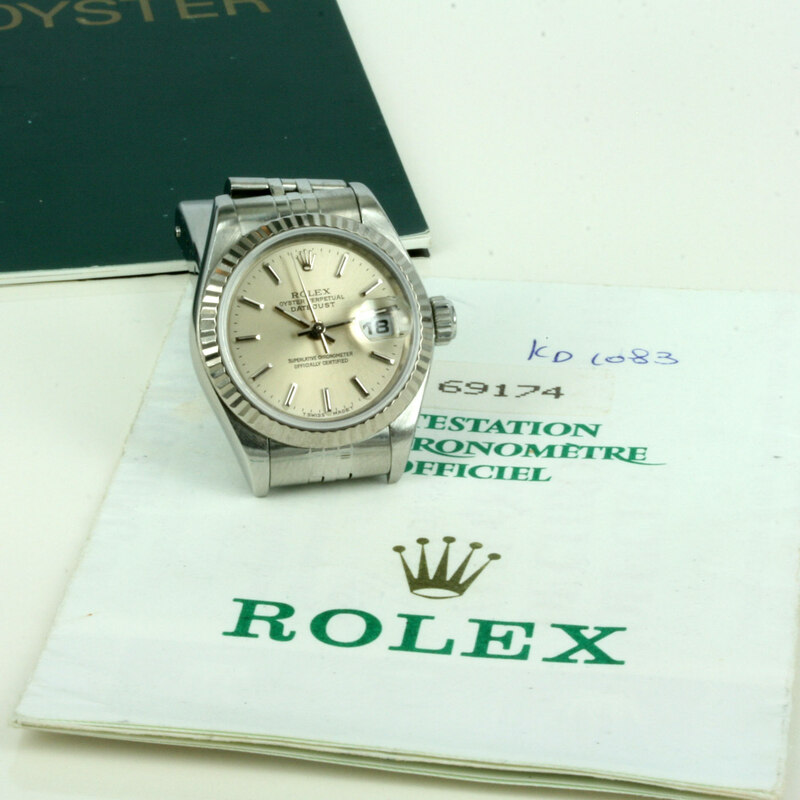 Fitted on the stainless steel Rolex Jubilee band, this Rolex watch is in great condition, and comes complete with box and papers.